The healthiest hemochromatosis diet should be conscientious to lower foods high in iron, yet we need to make sure to not be overly restrictive as we emphasize healthy, well rounded, balanced, nutritious foods. 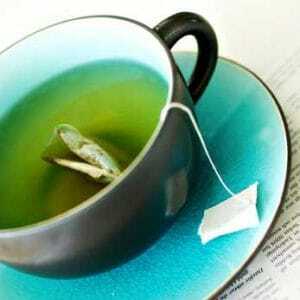 Green Tea prevents iron absorption and is quite enjoyable, too! Eating a nutrient-rich, substantive diet helps us to stay strong and healthy. A very common reaction upon first hearing a diagnosis of hemochromatosis is to stay away from any iron rich foods. Can I really never eat steak again? Do I really have to stop eating healthy foods like spinach or oranges? What can I eat- I’m so confused?!? In discussing the best choices for a hemochromatosis diet, I want to emphasize what we can and should eat as opposed to what we cannot eat. Focusing upon what we can't have generally leads to feelings of stress, anxiety, and guilt. Of course we will want to reduce the foods high in iron, yet it is a rare situation to need to entirely avoid a specific type of food. You’ll be surprised there are less restrictions than you might think! 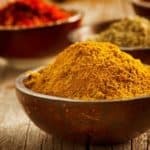 Fortunately, I did my research to familiarize myself with a diet helpful for hemochromatosis, and found that there are only a small number of strict dietary restrictions that we must follow. We also have a few considerations to keep in mind that relate to our nutritional choices. The greater the level of iron overload you have, the more cautious your dietary choices need to be. Iron supplements often contain much higher levels of iron than do foods. Additionally, supplemental iron is often created for maximal absorption-- that is the last thing we need! Raw seafood and hemochromatosis do not mix. A bacterium called Vibrio Vulnificus is present in raw seafood and proliferates in an environment of too much iron. Though very rare, this bacteria has caused serious complications and even death. Alcohol may compromise the health of our liver-- which just so happens to be the most sensitive organ to iron overload. Plus, alcohol has an effect of enhancing iron absorption of food. The combination can be very serious. Again, we do not have to eliminate foods high in iron. I did a quick bit of math, and if my calculations are correct, one therapeutic phlebotomy removes the iron absorbed from 18 pounds of red meat. Heme Iron is derived from animal foods, and Non-Heme Iron is derived from plant based foods. Again, although it seems like a no-brainer, make absolutely certain that you do not take any iron supplements or supplements that contain iron. While iron, vitamin c, and beta carotene are all essential nutrients that we cannot function without, a combination of these vitamins and minerals at the same time can have an additive effect on iron absorption. Do your best to get your vitamin C and beta carotene AWAY from iron ingestion. The following nutrients specifically reduce iron absorption from meals. If you have hemochromatosis, be sure to check with your doctor prior to starting any supplement, diet, or exercise routine. Recall, hemochromatosis is a genetic condition of too much iron absorption. 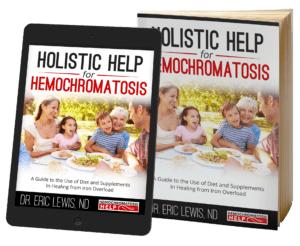 A proper hemochromatosis diet, as a result, is often based upon other nutrient factors that enhance or diminish the uptake of iron by the body. Certain food and supplement choices can absolutely make a positive impact. I personally feel that our attention should be focused on the addition of these iron absorption blocking nutrients... on top of our overall, healthy, delicious and nutritious diet. And while I have outlined several restrictions to keep in mind, please understand that there are so many nutrients our bodies need. Foods that happen to have some iron in them also have an abundance of the very most health promoting vitamins, minerals, and macronutrients to help us be healthy and strong. These foods should be included! 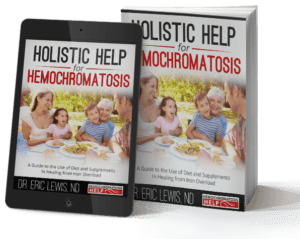 Nourishing our bodies and enjoying our food are just some of the many reasons why a hemochromatosis diet should not be too restrictive.